Ensuring that your workplace is safe for employees and visitors is a legal requirement. You are required to carry out a risk assessment of your premises to ensure that your flooring is safe and fit for purpose. The most common cause of injuries at work, according to Health and Safety Executive (HSE) statistics, are slips and trips. The cost to employers in lost production amounts to over £512m every year. 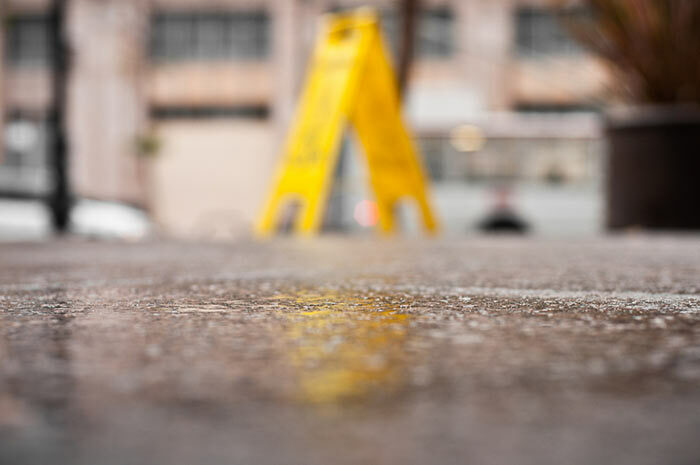 Half of all reported injuries to members of the public and contractors in the workplace are attributable to slips and trips, costing companies dearly in damages claims and increased insurance premiums. What causes workplace slips and trips? The primary causes of workplace slips and trips include uneven floor surfaces, unsuitable floor coverings or wet floors. Every company has a legal and moral duty to ensure the safety of its employees and of visitors to the workplace. The Workplace (Health, Safety and Welfare) Regulations 1992 state that floors should be suitable, free from obstructions, and in good condition. Clearly, the type of flooring that you install in your workplace will be dictated by the nature of your business. However, whether you have commercial carpets or specialised safety flooring, you must carry out a risk assessment, as defined by the HSE, to ensure that your premises are safe and operating within the Regulations. First of all, you must take a good look around the workplace for obvious slip and trip hazards. Check the condition of your floor coverings and look for any uneven areas of floor, including outside. Remember that weather conditions may be a factor in the condition of the floor. Consider who is at risk of being harmed and how an accident might occur. Are there some people who come to your premises who could be at a higher risk than others? 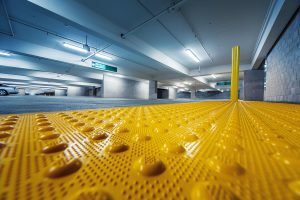 Now think about the risks that could be presented by the flooring in your premises and look to see if you can deal with them. For example, are the floor coverings in each area of the premises suitable for the work carried out there or the expected foot traffic that will pass through? What systems are in place for cleaning and maintaining the floor coverings? Write down your findings and be sure to regularly review the flooring for safety, especially if there are changes made. You can take inexpensive, simple steps to reduce the risk of slips and trips in the workplace. Ensure that any spills are quickly cleaned up, and use signage to warn people that the floor is wet. If the floor covering immediately after people have entered the premises is prone to becoming slippery, i.e. marble or ceramic tiles, you could consider replacing it with a non-slip floor covering. If changing the floor covering is not practical, put down rugs or mats that are securely fixed to the floor so that the edges don’t present a trip hazard. If floor surfaces are slippery, assess why and treat them accordingly. This could mean having the floor repaired, cleaning it or treating it chemically. If some areas of your premises are inclined to become slippery under certain conditions, make sure that your workers are wearing suitable footwear with the right kind of sole.